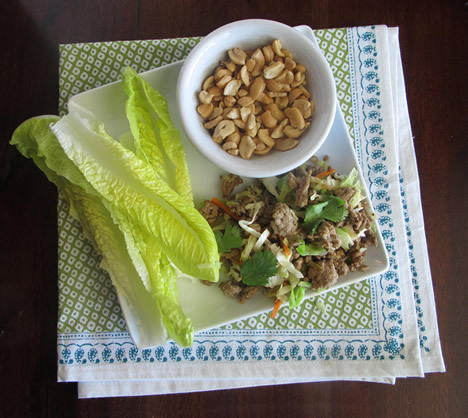 Asian lettuce wraps | Asian lettuce wraps – oh, that's tasty! 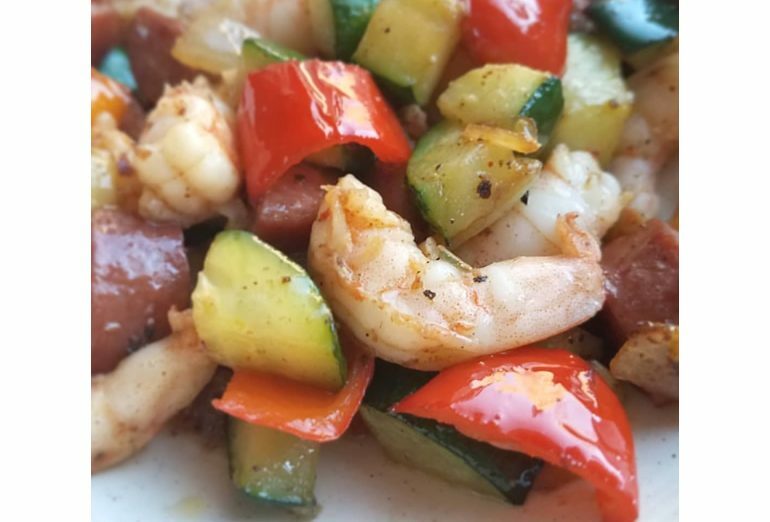 This is another one of those dishes that you can prep early in the day, and throw together in minutes come dinner time. Also low carb and low fat! 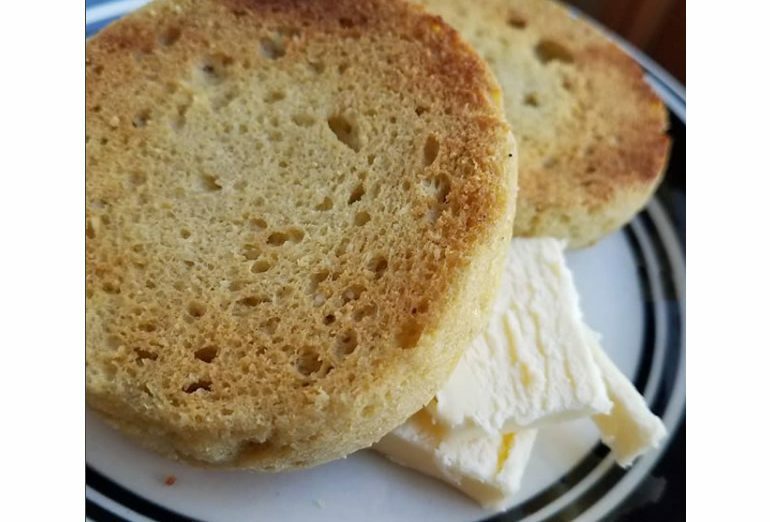 Easy to make Paleo and Whole30 compliant, with a couple minor tweaks. Brown the turkey and onions in a large skillet; when the turkey is mostly browned but still showing some pink, drain the fat. 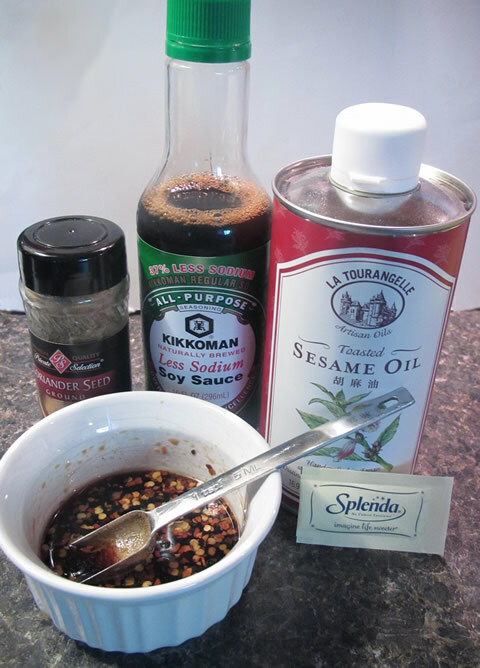 Meanwhile, combine the sesame oil through the crushed pepper in a small bowl and set aside. Add the ginger, garlic and coriander to the pan; stir-fry for a couple minutes. If you’re prepping ahead of time, you can stop here and refrigerate the meat and sauce. 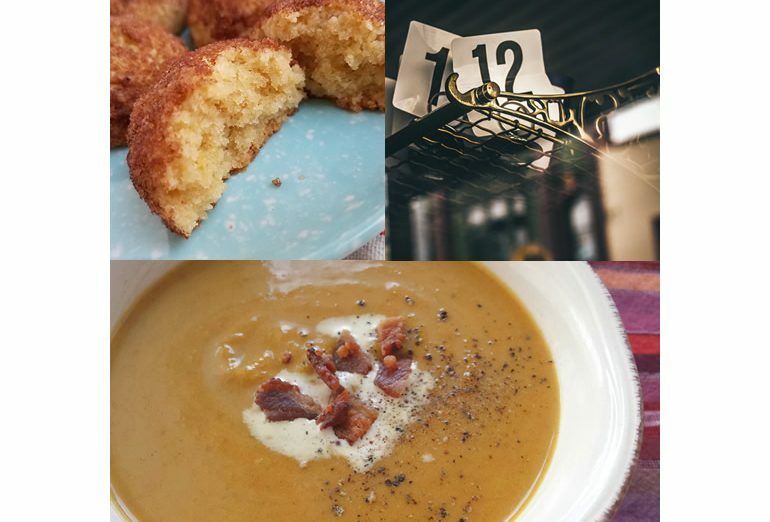 When ready to serve, just reheat and proceed. Also, since I was just cooking for two of us, I pulled out half the meat and put it in the fridge for lunch the next day. 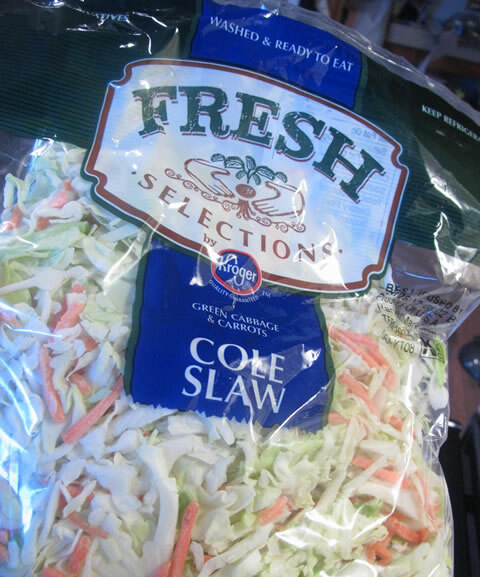 Be sure to only add half the sauce and cole slaw to the pan if you do this. 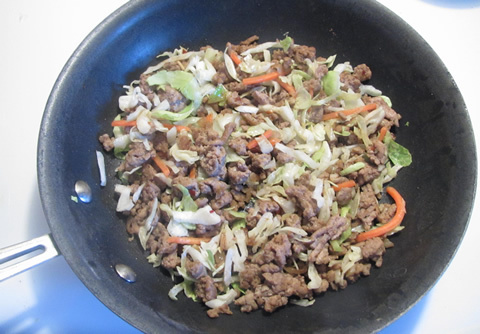 Add the cole slaw and the soy sauce mixture. 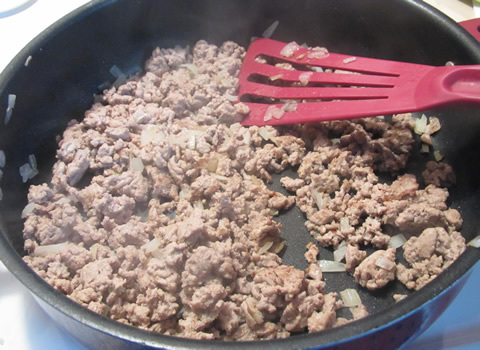 Cook and stir constantly for one or two minutes. 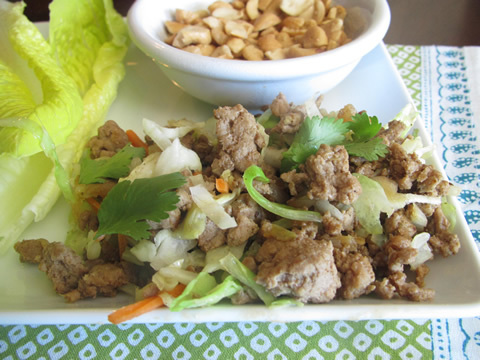 Serve the meat mixture with lettuce leaves to fill, and roll up to eat. Offer cilantro and cashews for topping, if desired.